This OnlineTool allows the labelling of switches, sockets, push-button sensors, RCDs and more. 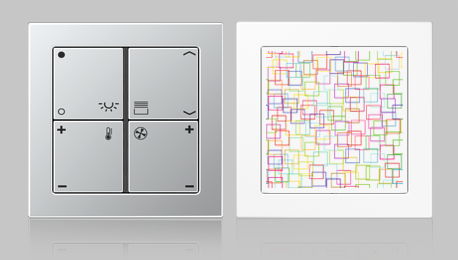 With an intuitive user interface, you can easily design the switch surface with symbols, text, logos or artwork as desired. 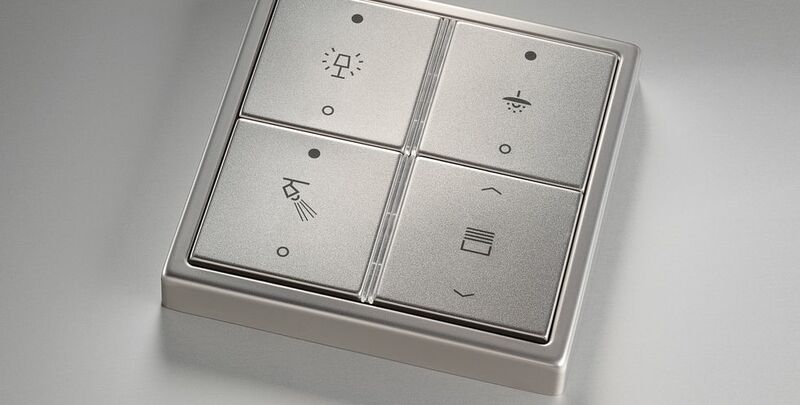 Depending on the material of the switch surface, you can choose between the laser and printing processes. The Graphic Tool also enables the labelling of existing labelling fields for paper or foil inlays . Use high-quality laser engraving to finish the surfaces of JUNG products. Designed by means of the abrasion-resistant colour printing process, JUNG products become unique. 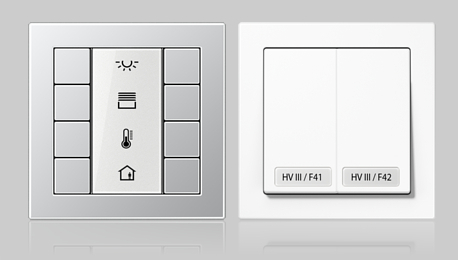 Obtain your individualised products from your electrician or specialist wholesaler as usual. Use text, icons, motifs, or even colour images to design individual writing spaces of JUNG products. Then you may use your own printer to simply print the created labels on paper or film.